Empowering each of us, powers all of us. Thank you for your interest in the Dell Career ReStart Program. At this time, planning for the next cohort locations and roles is underway. Please continue to check in and we also encourage you to explore current available positions at the Dell Careers page. 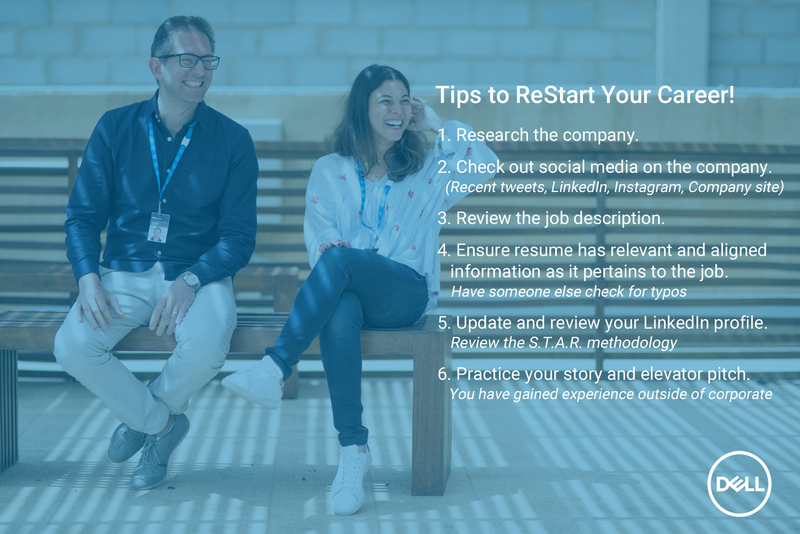 Dell Career ReStart welcomes participants into full time, benefited positions, through a supportive, structured program that will help accelerate your transition back into the workforce. At Dell, we recognize that life is bigger than work; sometimes life calls even the most committed professionals temporarily away from their career. 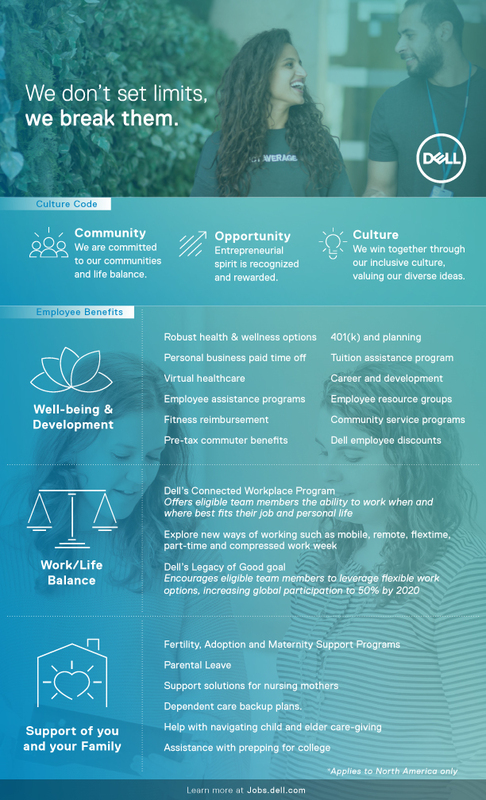 Whether you left the workforce to start a family, care for aging parents, complete graduate study, or another reason unique to you, when you’re ready to return to work, Dell is ready for you!